Ion channels regulate a variety of physiological processes and represent an important class of drug target. 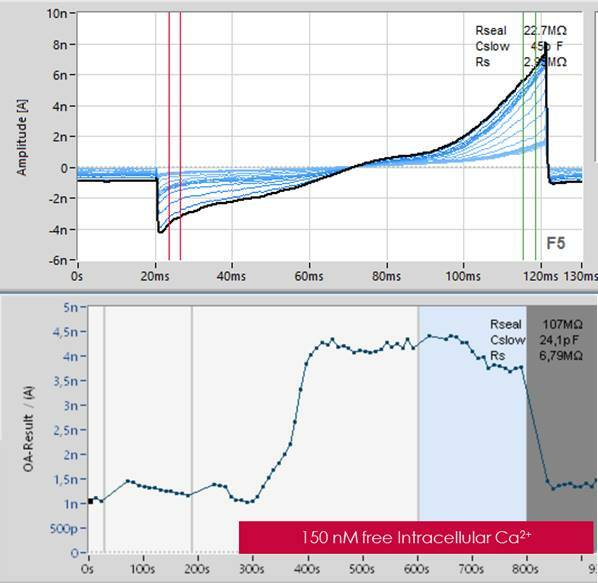 Among the many methods of studying ion channel function, patch clamp electrophysiology is considered the gold standard by providing the ultimate precision and flexibility. 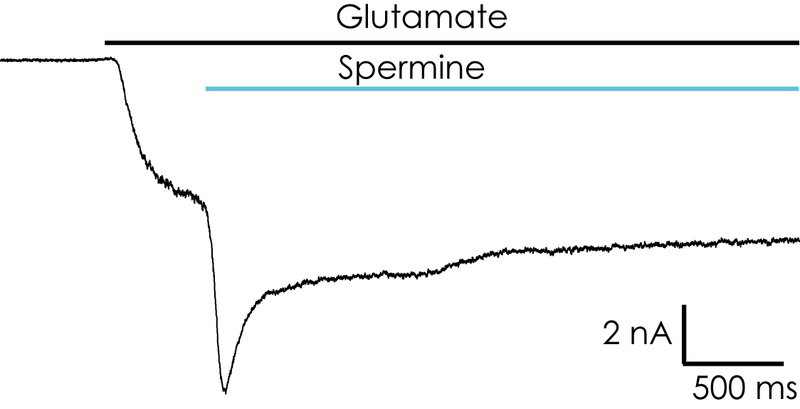 However, its utility in ion channel drug discovery is impeded by low throughput. 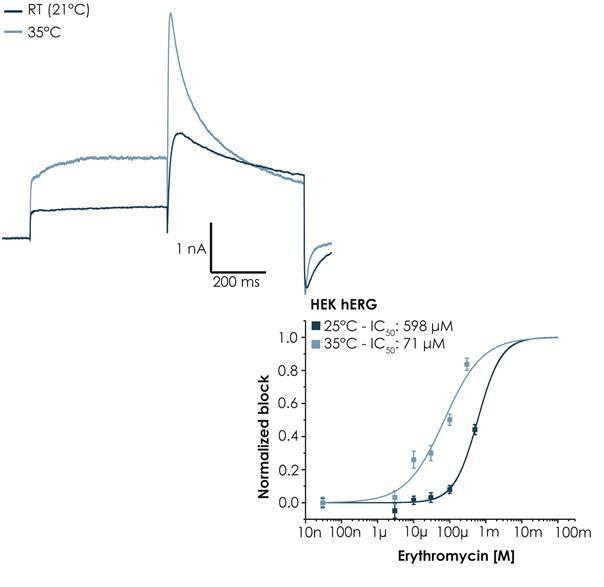 Additionally, characterization of endogenous ion channels in primary cells remains technical challenging. In recent years, many automated patch clamp (APC) platforms have been developed to overcome these challenges, albeit with varying throughput, data quality and success rate. In this study, we utilized SyncroPatch 768PE, one of the latest generation APC platforms which conducts parallel recording from two-384 modules with giga-seal data quality, to push these 2 boundaries. 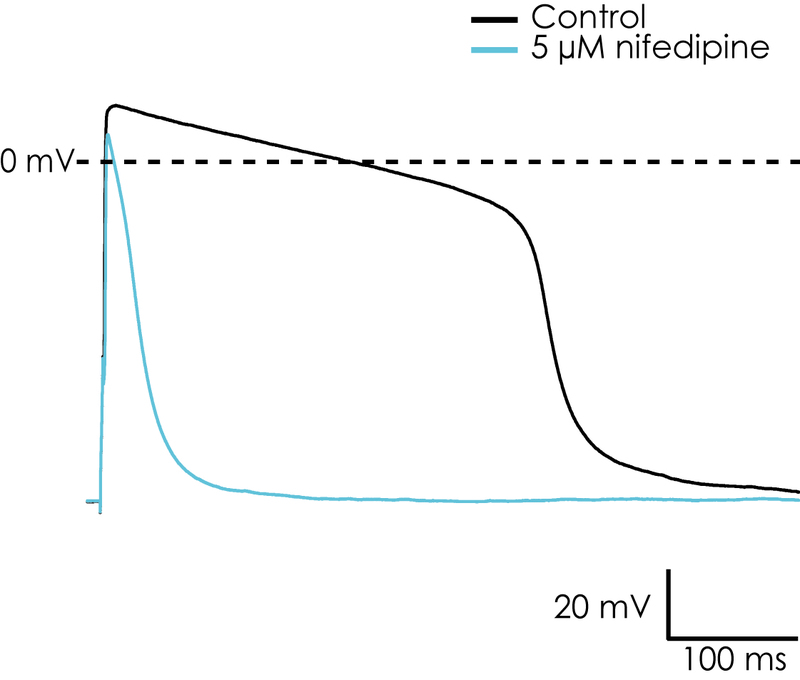 By optimizing various cell patching parameters and a two-step voltage protocol, we developed a high throughput APC assay for the voltage-gated sodium channel Nav1.7. By testing a group of Nav1.7 reference compounds’ IC50, this assay was proved to be highly consistent with manual patch clamp (R > 0.9). In a pilot screening of 10,000 compounds, the success rate, defined by > 500 MΩ seal resistance and >500 pA peak current, was 79%. 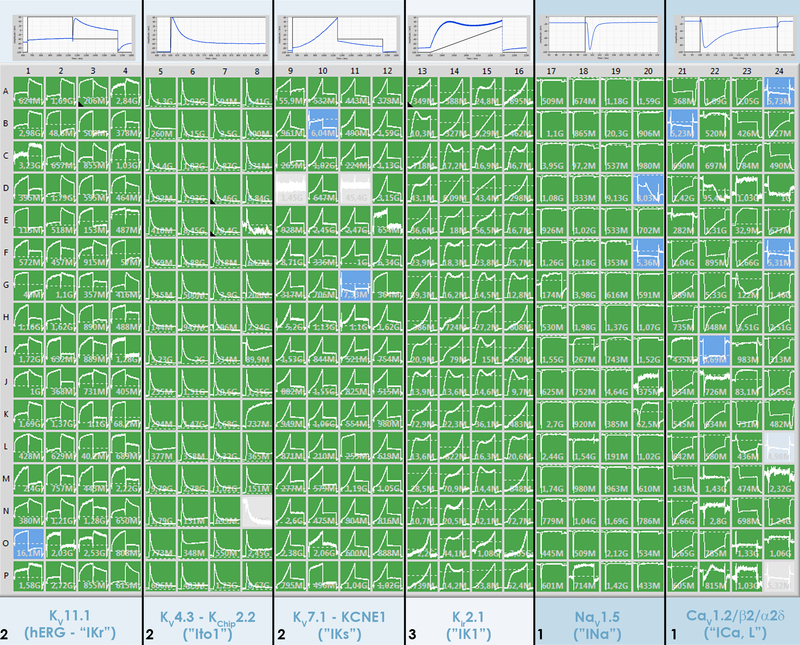 The assay was robust with daily throughput ~ 6,000 data points and Z’ factor 0.72. Using the same platform, we also successfully recorded endogenous voltage-gated potassium channel Kv1.3 in primary T cells. Together, our data suggest that SyncroPatch 768PE provides a powerful platform for ion channel research and drug discovery.